I have no idea who this is. But she's holding a golf club, and that's good enough for me. I've been remiss in not posting about Anna Rawson over the past few weeks. So above is a magazine scan from one of Anna's recent fashion shoots, although which magazine I'm unsure. As for why I've been remiss: Because Anna deserves congratulations for her great showing at LPGA Q-School. Alas, she didn't achieve fully exempt status, finishing one spot outside the Top 17 cutoff. 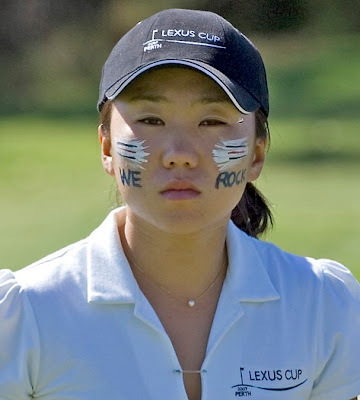 But as the highest-ranking player coming out of Q-School with conditional status - and combined with the sponsor exemptions that Anna should be able to get - she should be able to play a pretty good schedule on the LPGA in 2008. Tiffany Tavee turned pro in 2006, after graduating from Arizona State University, but 2007 was her first full professional season. Her 2007 campaign on the Futures Tour got off to a slow start, but Tiffany built up steam as the season continued and had several strong finishes at the end of the year - including her best-yet, a runner-up at the Futures Tour USI Championship in Concord, N.H. Expect to see Tiffany building on that good finish and having a terrific 2008 season. A native of Arizona, Tiffany won the 2002 Arizona high school championship. In four years at Arizona State, she had nine Top 10 collegiate finishes and was named to numerous all-conference and All-America teams, and earned multiple academic awards. We agree, In-Kyung: You rock! 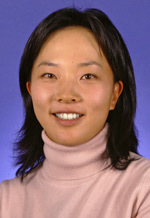 The photo above shows In-Kyung - or IK Kim, as she is often called - at the 2007 Lexus Cup, where she played for Team Asia in the Asians' victory over Team International. The 5-foot-3 Kim won the U.S. 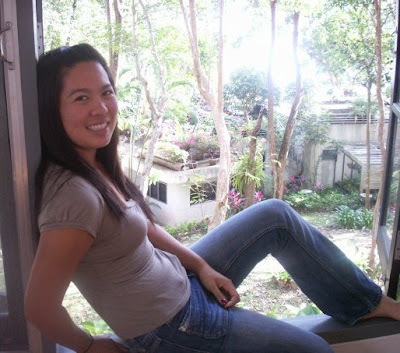 Girls Junior Amateur Championship in 2005, then turned pro at the end of 2007. This year was her rookie year on the LPGA Tour (profile), and it was a very good one. 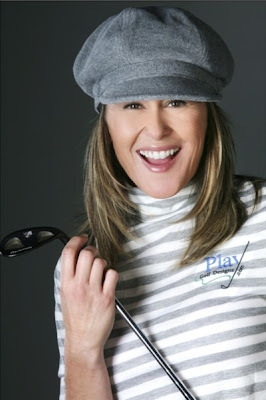 She had four Top 10 finishes, including a second at the Wegman's LPGA, and also tied the all-time LPGA 9-hole scoring record with a 27 during the Jamie Farr Owens Corning Classic. Here are two photos from the 2008 Sophie Sandolo Calendar. Sophie worked once again this year with photographer Paolo Ranzani, and with him forged another artistic, adventurous calendar. Sophie says that in this calendar, she wanted to play on her belief that golf should be part of the Olympics, so her poses evoke Olympic sports. The calendar will begin shipping on Dec. 15, and can be ordered from Sophie's Web site. On the right-hand side of the page, look for the "Calendar 2008" headline, and just below that the "Buy Now" headline. Click on a preferred method of payment to purchase. Ashley Prange is the champion of "Big Break: Hawaii," and - hooray! 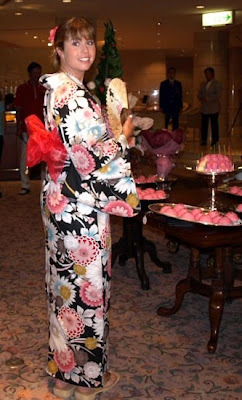 - she'll be back in another Golf Channel series this month. A new season of "Golf With Style: Global Challenge," hosted by Stina Sternberg, premieres Dec. 4, and Ashley appears in at least two episodes. Those episodes are the ones from Mission Hills, China, which debuts on Dec. 11; and the one filmed in Australia, which debuts Dec. 18.